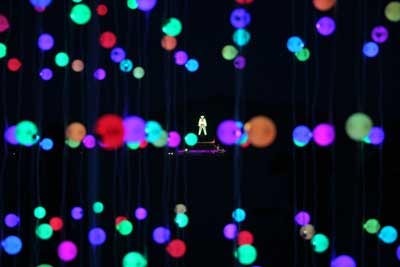 ali3nworld: LED Cubes - daily visit recommended! 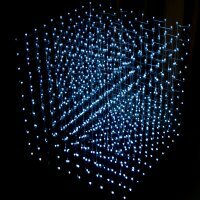 What happens when you arrange LEDs into a 3D grid? This is how nice it can be! 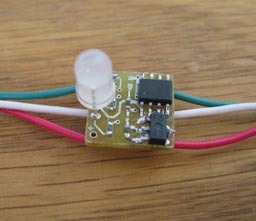 RGB LEDs individually controlled to form different patterns. This is The Cubatron, an electronic yet artistic project created by the Network Wizards. The individual light is actually a RGB LED hidden in a normal ping pong ball. 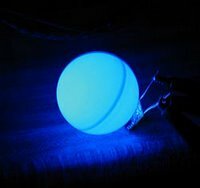 The RGB LED's color is controlled by a PIC12F629 microcontroller, which is instructed through serial means from another microcontroller. 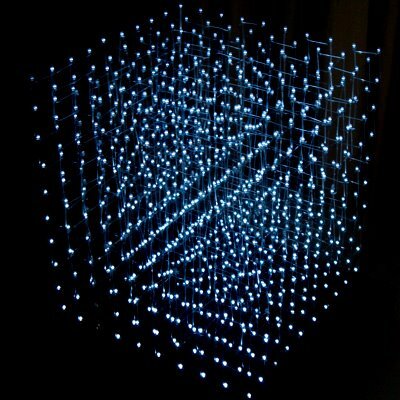 The overall effect of the LED cube actually looks somewhat similar to a 3D display, allowing one to have 3D visual effects on whatever that is being displayed. 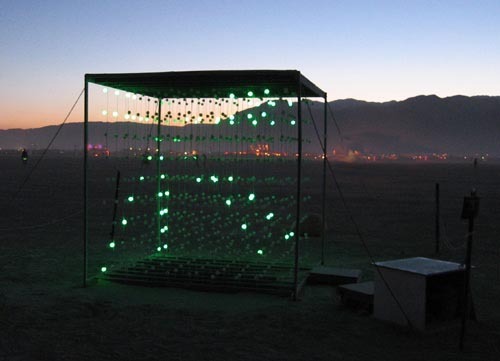 Now here is something NOT to be missed: a cube made from 1000 white LEDs! This is the masterpiece created by James Clar. You MUST look at his site where he has a movie of it running the famous pong game, in 3D!! LINK: 3D Display Cube White. Possibilities are unlimited! 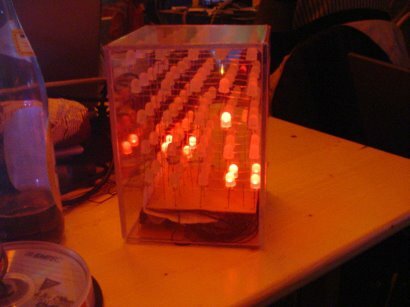 How about a brick game on the LED cube? Nokia's snake game? or classic Mario game running around in the cube? Here is another very good LED cube site: Chris Lomont's LED Cube In his site, he documented the making of his LED cube along with many interesting video clips. Another MUST visit site. What are you waiting for? Go make one now! wow.. that cube is classic. Hello all Cool forum www.blogger.com! Thank you!